A special surprise EVERY party! Note: This is one of Zante’s most popular Boat Party and does sell out very fast. To avoid any disappointment please reserve your tickets now online. The Notorious Sell out Zante Event! The BIGGEST Boat Party with it’s legendary reputation is back! Guarantee your place because you WILL NOT want to miss this! Team Blue vs Team Green with FREE Shots ALL Night for EVERYONE! 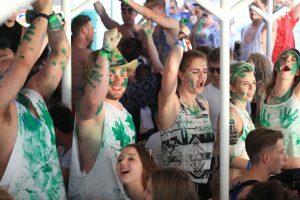 An event you cannot miss is the legendary Rum & Raybans Boat Party, which has been the number one sell-out event in Zante for the last four years. 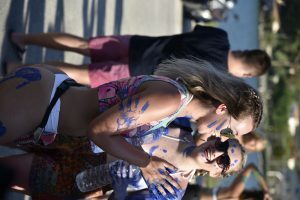 This is the biggest and best Boat Party on the island with a notorious reputation for being the wettest and wildest event for holidaymakers with champagne spray, free shots all night and being the most expensive boat party to put on in Europe. 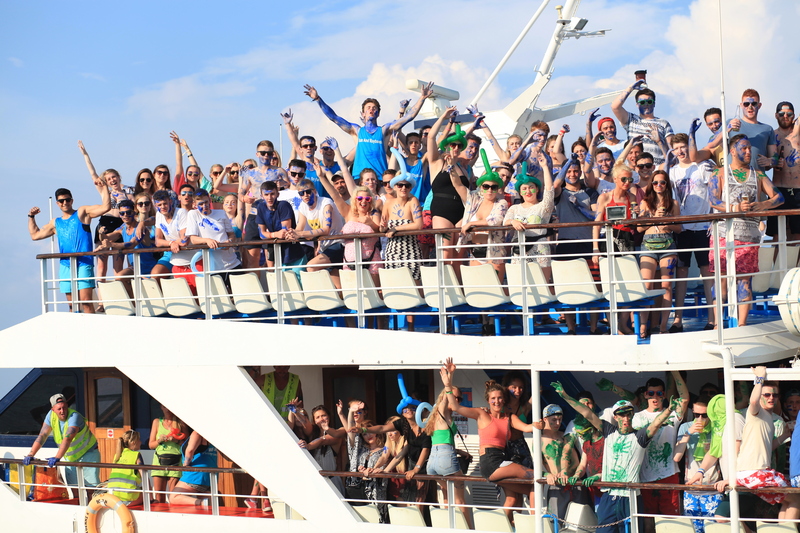 All aboard Zante’s premier cruiser and enjoy the two decks of fun, drinks and the hottest tunes of the summer, right in the middle of the ocean. 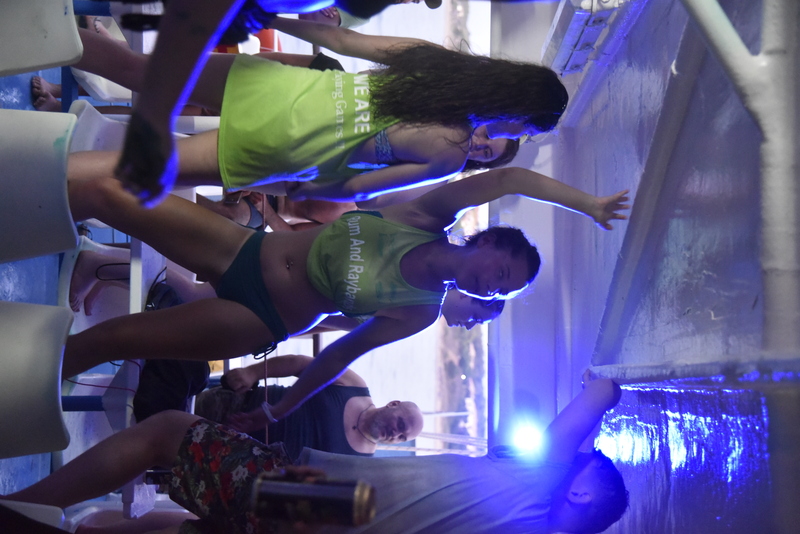 On the main deck, showcase your best dance moves on the dance floor with the best resident DJs, MCs and special guests or sing along to the biggest hits blasting from the speakers. With a crazy games arena, get involved with all the antics to win prizes or have just as much fun watching everyone else compete. 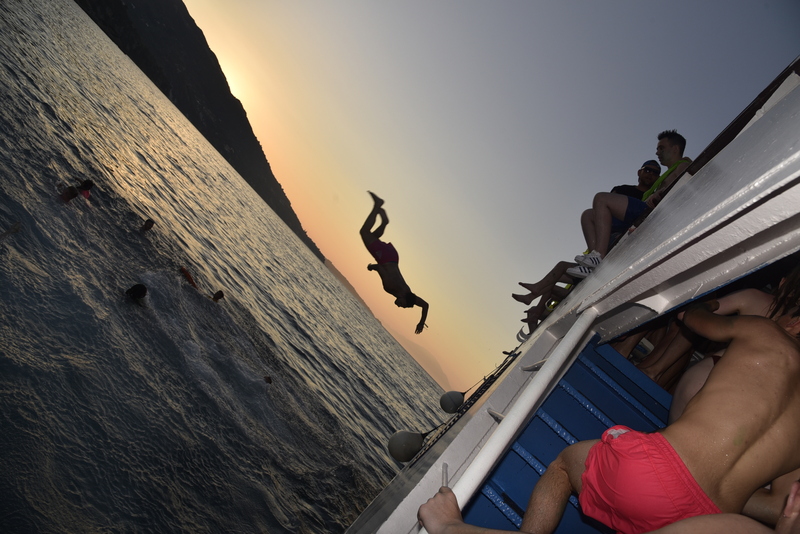 On the upper deck, enjoy special surprises and Rum & Raybans dancers as the sunsets. Make sure to get up top to get the best view of the fireworks at night. With all this excitement, leap overboard and cool down at one of the regular swimming stops along the way. The Green Team vs dark-blue Team is sure to rock the boat. With a name like Rum & Raybans, you know there is going to be more than enough drinks to keep the party going. 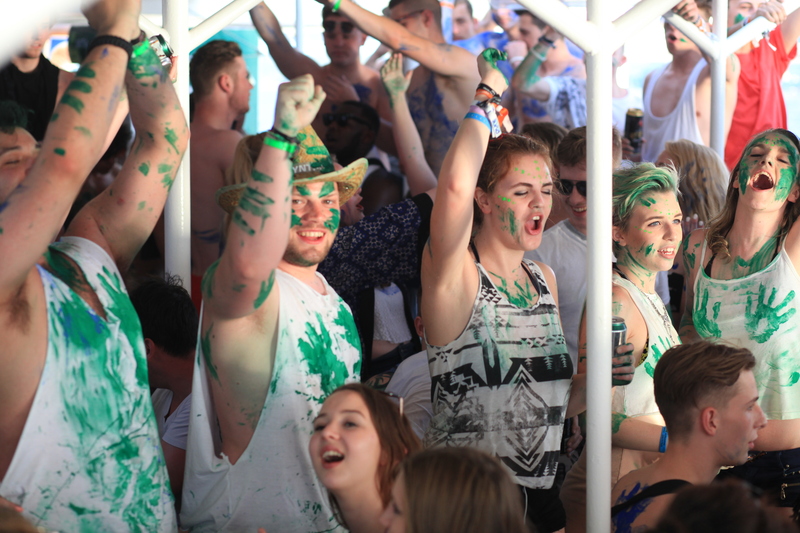 On all decks, enjoy free shots all day and night from shot pourers and be sure to take advantage of the Rum guns and vodka cannons. 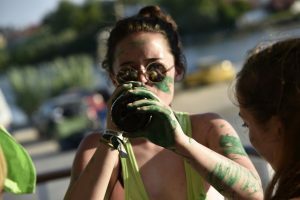 With over 2000 litres of free Rum and vodka given out in 2018, will your boat party break the record? 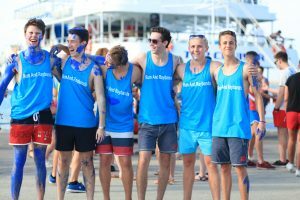 For those party animals that still have their sea legs, free entry to a Zante super club is available when you are back on dry land to carry on with the party. 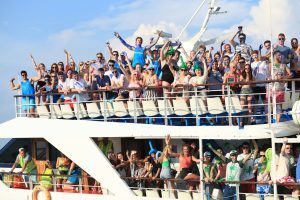 This is Zante’s only day and night booze cruise, which welcomes 400 guests on board every Wednesday from 5:30-10:30pm. Make sure to grab your tickets in advance for this sell-out event and ensure you are at the biggest party in Zante. Grab your Raybans and climb on board for way more than you can handle. Total ticket price is £40.00 – £70.00 per person. Pay £15.00 deposit today and secure your place on Zantes Number 1 Boat Party. Please note that the remaining balance will need to be paid 24 hours before your event date. Final payment can be in UK sterling or Euros.